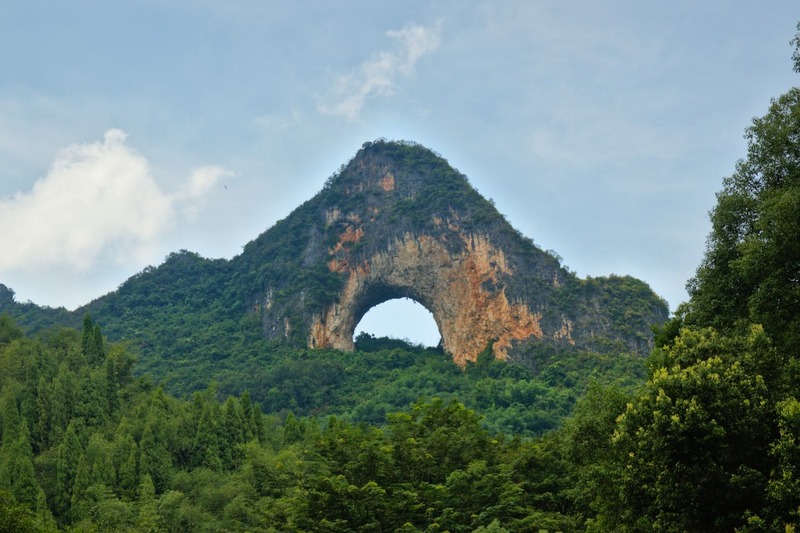 Students will be travelling south to warm Yangshuo for a week in nature. Start the trip with a scavenger hunt on West Street. Move onto a challenging and rewarding hike up to Moon Hill for iconic views. The next day groups will alternate between rock climbing, and biking next to as well as bamboo rafting on the Yulong river. Day three starts their two-day service project, learning about the technique, labour and theories around sustainable agriculture in local fields. Finish the project off with a pizza party and talent show! 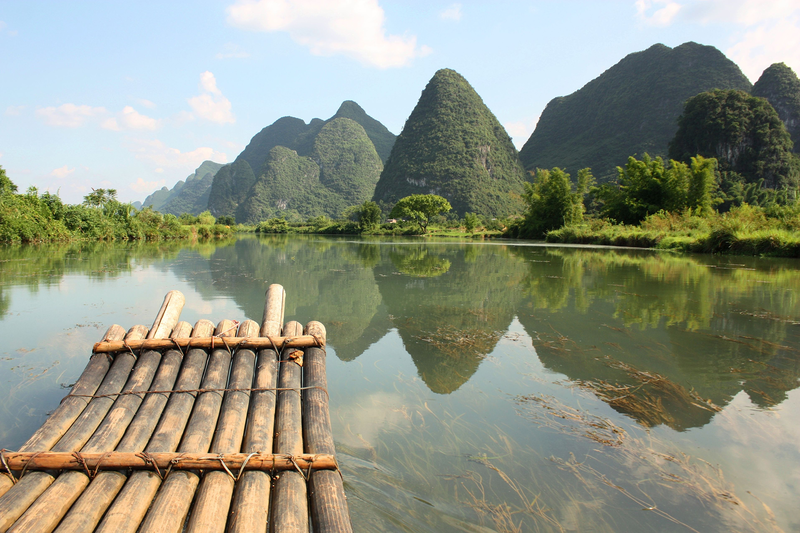 Want to visit Yangshuo but with a different subject focused theme such as Outdoor Adventure & Sports, Geography, Art or Music? Or combine this itinerary with Hong Kong as an extension? Our school trips are completely customizable and can be tailored to meet your requirements. Speak to a specialist now to find out more. Arrive in Guilin. Guilin is one of China’s most iconic countryside retreats and is famous for the Karst peaks rising up amongst layers of idyllic green rice paddies. Upon arriving, students transfer to Longsheng autonomous county for a hands-on lesson from our local guide about agriculture in China. We spend time walking amongst the quintessential rice terraces and visiting the Dragon’s Back (Longji) area. The night is spent in a cosy accommodation close to the foot of the terraced hills. Today, students will be participating in a sustainable agriculture workshop using the farm-to-table cycle in Yangshuo as a case study. Students will take an in-depth look at agriculture in China and how the quickly rising demand for crops affects the bigger picture. Then, we get hands-on with our subject matter in an experiential farming exercise. We try chemical-free sustainable agriculture to get an in-depth look at the direction agriculture must move in to minimize the adverse effects of increased demand for produce. To relax after all the hard labour, in the evening we try traditional Chinese cupping or a foot massage. We continue our hands-on examination of sustainable agriculture processes today. In addition to the farm work, students will be creating an instructional video about how to easily implement sustainable practices that work, and do not hamper productivity. To celebrate the end of our 2-day sustainable agriculture course we take students out for a night of Chinese-style fun,KTV! We start the day going Rock Climbing, an especially special treat for students as Yangshuo is hailed as a rock climber’s Mecca. Our professional climbing instructors ensure that students are safe and prepared for the excursion. After a short break, students go to a Kungfu lesson in a local spot popular with Tai chi practitioners. Then, we slow things down by sitting down with a resident artist as they teaches students to paint 扇子 (hand fans). We finish the day by going to a stunning performance in an open-air natural theater, Impressions San Jie Liu. Physical challenge; activities such as weeding, planting, draining ponds, clearing fields etc… are promised to not just push students physically, but to instill value in using one’s body to perform life-essential tasks. Additionally, rock climbing, cycling, and hiking offer exciting and refreshing opportunities for exercise. Applied sustainability; by actively participating in the process of farming sustainably as well as learning about the theories and facts behind it, we hope students will retain positive attitudes towards sustainability, why it is significant, how it can be applied, and how students can take environmental responsibility into their own hands. Teamwork; the week is designed to facilitate teambuilding along every step of the way. Student groups will be switched around for activities so that they must work together with the entire larger group. In addition, shared adrenaline-inducing activities such as rock climbing promises to bond students!